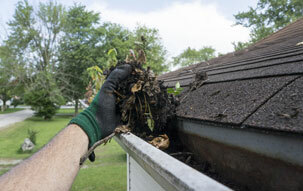 M’RKed Improvements Inc. also provides all the gutter services your home or commercial building needs. We install complete gutter systems, repair existing sections, or replace your downspout. We offer gutter protection systems with up to a 20 year Free Flow Warranty. Our gutter installation specialists install 5” protection seamless gutters. 5” gutters hold less debris than a 6” system, making them a suitable option for homes with smaller roof areas and any pitch angle. Combined with a properly installed downspout, this type of gutter system creates a low-maintenance solution that quickly carries water away from your foundation. Seamless gutters are made with quality aluminum coil and are durable and available in many colors, designed to protect your home against the elements. M’RKed Improvements Inc. also installs 6” protection seamless gutters, most commonly used on commercial buildings, but are also ideal for homes with large surface area roofs. They are designed the same way as the 5” gutters, but can flow much more water. While they are larger in appearance, it is not noticeable to a person viewing them from the street—the performance however, is very noticeable, as they have the capacity to carry more water away from larger roof areas. Paired with oversized 3x4” downspouts, 6” protection seamless gutters provide excellent drainage for flat roofs and pitched roofs of any design. We also install and repair home siding, including wood, vinyl cementous, fiber, and aluminum siding. Whether you’re building a new home and need a trusted contractor to complete your house, or you’re replacing your existing siding, we have modern, energy efficient materials to complete projects of any scale. We also make siding repairs, from replacing one cracked or broken board to installing new siding for an entire wall. We use only the best products in the industry, while keeping our siding costs competitive and affordable. Soffit options include vinyl materials and many colors, used to enclose the space under your roof and above your siding. Properly installed soffit minimizes runoff and prevents moisture from getting in between the siding and the exterior wall surface. After the area is prepped, the soffit panels are installed one by one, followed by fascia panels and a drip edge. M’RKed Improvements Inc. can install new soffit, replace your existing soffit, or make minor or major repairs. 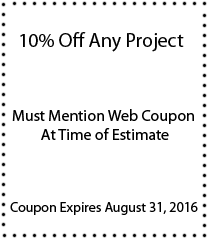 Our Wilmington and Chester area home improvement services also include fascia installation, repair, and replacement. Fascia is the vertical panel that sits between your roof’s edge and the soffit. We work with aluminum, PVC, vinyl, many colors, and other fascia materials. Our contractors can match your current fascia with the same material or consult with you to create a more modern, energy efficient solution.